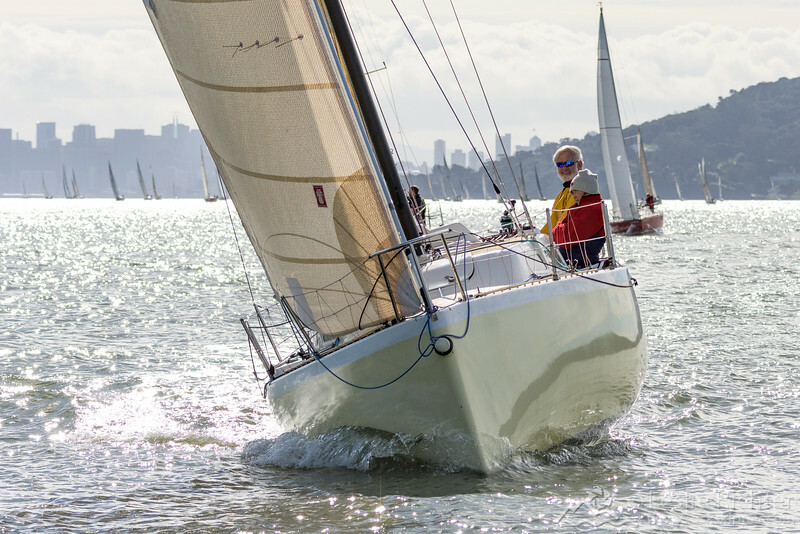 With 368 boats registered, this is the most popular race on San Francisco Bay. The single and double handed racers must round three marks: Blackaller, Redrock, and Yerba Buena Island -- in any direction. Since boats cross the starting line and round the marks in different direction, spectating can be quite entertaining as racers weave their way through traffic, hoping they have chosen the best course for the conditions. We started the day at the starting area off Golden Gate Yacht Club and then made our way to Blackaller, Redrock, the Bay Bridge, and the finish line -- which turned out to be the winning direction this year. Despite the light and variable conditions, it was a spectacular day on the Bay, and there were plenty of happy sailors enjoying this remarkable playground.